So this weekend I had the amazing honor of going to the Yonex-Sunrise 2018 Hong Kong Open as a reporter! That means not only did I get to see the best in the world play, but I got to TALK to them too!! I talked to a lot of players over the 3 days I was there, so I’m breaking it up into several videos. The first one is out about the first day. 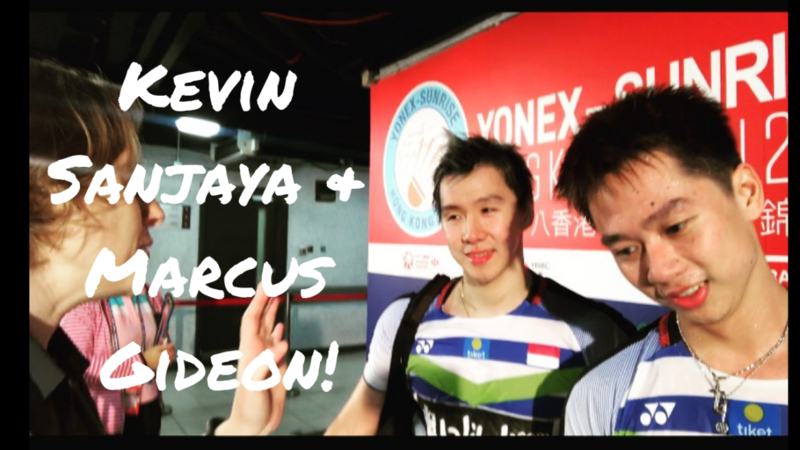 I talked to Chris & Gabby Adcock (my fav mixed doubles team), Tai Tzu-ying (Azhi’s all-time favorite player), Kevin Sanjaya Sukamuljo & Marcus Gideon, and Michelle Li from Canada. I also ran into Gillian Clark, the famous commentator, and I met so many other amazing people behind the scenes that are responsible for making tournaments happen (like photographers, player “wranglers,” stringers and more. I was obviously super excited the first day, and slightly overstimulated by it all, so upon re-watching of these first day interviews I am embarrassed that I was such a fan girl! But when have I ever shied away from showing my embarrassment on this blog? 😉 Please enjoy day one and look for day 2 coming soon!